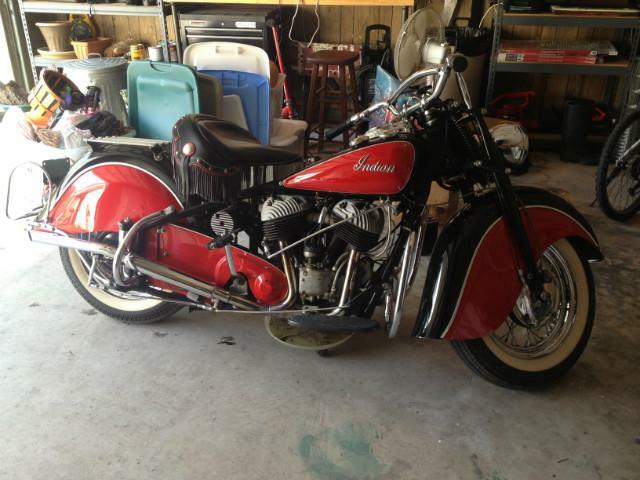 1948 Indian Chief, Professionally restored, runs and rides like a new bike. matching numbers motor and frame. I purchased this Indian Chief from a family that had owned it for over 50 years and had the no expense spared restoration done. It is ready to ride or show. Too late, It is sold and off to Waco with Rick who plans to ride it all over Texas.